It's time to link up again with Maria Dismondy and her Make a Difference Mondays. This month's character trait is respect. Introduce the character trait of respect to your students. Use an anchor chart like this one from Kim Adsit. Have students create a kid-friendly definition for the word respect (an expression of courtesy). After a discussion about ways to show respect, have students draw pictures of themselves being respectful. 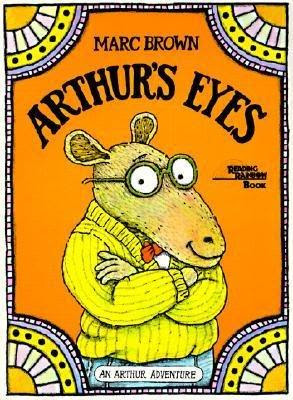 One of my favorite books for teaching respect is Arthur's Eyes by Marc Brown. This is definitely a book that kids can relate to on all fronts. 1) Choose a children's picture book that teaches respect. Read and discuss it with your students. 2) Talk about the character's feelings and what happened to them in the story. Have students talk with each other about what the main character may be thinking or feeling. Have students explain why they think the character is feeling this way. 3) Help students make a personal connection by thinking out loud about a time you were treated badly by someone because you were different than them. This is critical in helping young children understand differences and begin to build a sense of tolerance for others. Have your students talk with a partner about a time when they were treated badly because they were different. 4) Have students make a plan for how they are going to show respect for others. Chart students' ideas and have them draw and write about how they are going to show respect to others. Read more books about respect. 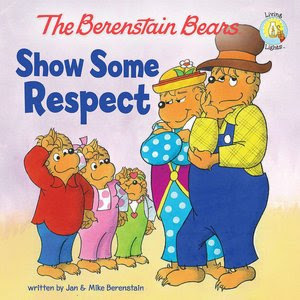 A few great picture books that teach respect are Tacky the Penguin, Hooway for Wodney Wat, The Crayon Box That Talked, Chrysanthemum, and The Berenstain Bears Show Me Some Respect. You can find other great picture books that teach respect at Tidbits from a Mom. LOVE this chart idea! So clear and concise! April, this is a great lesson. Believe it or not, I had never read either of these books about respect and I am headed over to Amazon to purchase them! Thank you for linking up to Make a Difference Mondays!